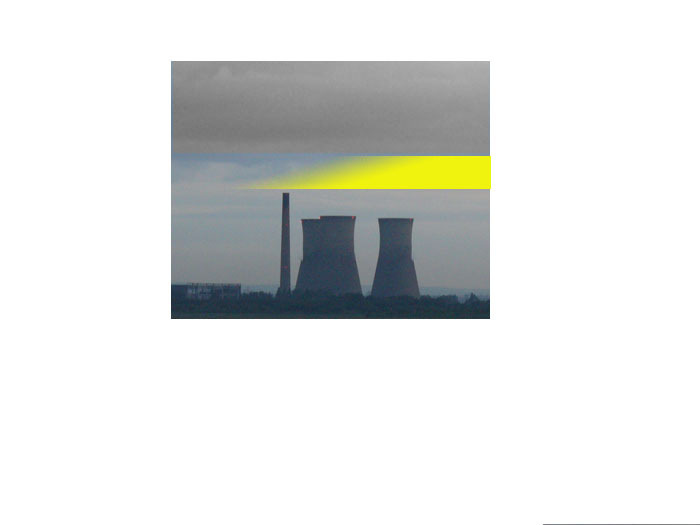 Hot tempers, Cooling Towers – Richborough Towers – should they stay or should they go! I remember my first walk on the West Cliff of Ramsgate, gazing across Pegwell and, shock, horror, seeing three ugly cooling towers looming like squat ogres in the distance. But, it wasn’t long before I came to regard them with great affection. True, they won’t win any beauty contests – they are what they are – 1960s industrial architecture. Nevertheless, there is a pleasing symmetry to them. They have grown into their surroundings and give scale to an otherwise flat and featureless landscape. I love to watch the play of light as the sky changes above them or see them gently enshrouded in early morning mist. They are affectionately known in our family as The Three Fat Sisters (the chimney is the anorexic!). When returning from our travels somewhere, there is a contest to see who can spot the towers first, and a sigh of contentment goes up that we are almost home. Now, of course, this is all sentiment and progress isn’t built on sentiment. If, as has been suggested the towers are unsafe then, of course, there is an argument for tearing them down. If they can be replaced by an industry that will bring employment into the area, then I can see the logic in that too. However, I wonder if the full potential of the towers has been explored, if, for example they could be turned into a museum, art gallery or restaurant, the land roundabout landscaped into a pleasant park or designated an official nature reserve. There are, I believe, some plans to build a recycling plant, including an incinerator which, presumably, will require chimneys with ensuing blasts of pollution. Is this likely to be any less a blot on the landscape than the towers? Surely not. My position is plain. I like them and, ideally, I’d like them to be given a new lease of life, long to reign over us. On the other hand, the devil on my shoulder tells me that I am not an engineer, I have no knowledge of what is entailed in such a venture, the feasibility or the expense. I just hope that whatever decision is made, it will be the right one for the area and that we will all be happy. But, what are the chances of that? 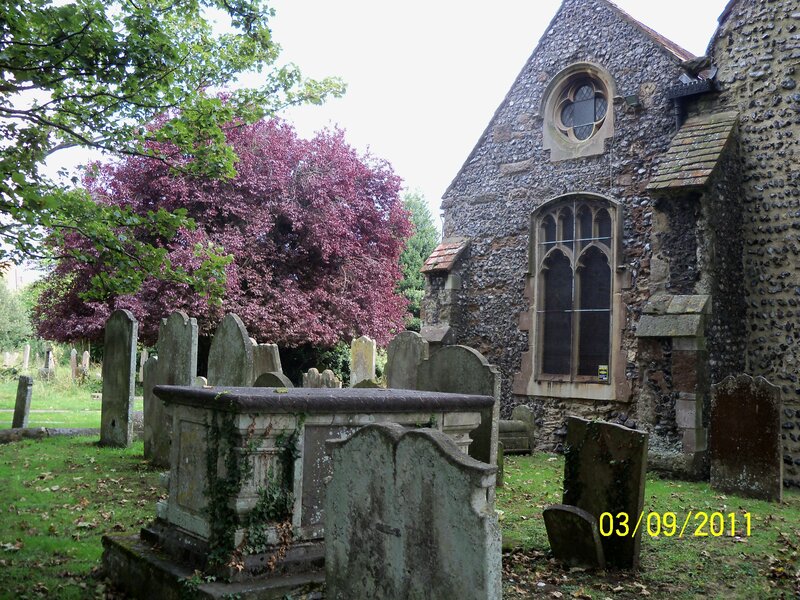 St Laurence Churchyard – A Great Place to Visit – Make no Bones About It! Ten o’clock on Saturday morning found me in the churchyard of St Laurence in Ramsgate, about to embark upon the guided tour I have somehow managed to miss on several previous occasions. Unintentionally miss, let me add hastily but, this time, I made it. And very glad I am that I did. The sun was shining, the birds practising their scales in the trees and though St Laurence is situated on a somewhat busy intersection, the noise of the traffic scarcely registered, especially as one ventured further into the tranquil hush of the churchyard. Barbara, our guide, a lady who exuded both bonhomie and efficiency, duly gathered her small, surprisingly age-diverse flock, and shepherded us off on what turned out to be a most interesting tour of the past. Obedient as school kids, we crocodiled down pathways bordered by topsy-turvy ivy and lichen covered headstones, traipsed across over-grown graves, carefully avoiding the stinging nettles lurking with intent, and ducked beneath bowers of holly, bejewelled with the reddest of berries. Every so often we stopped to allow Barbara to introduce us to the incumbent of a particular grave, along with a potted account of their lives. And there, in the heart of this relatively unremarked churchyard, we found ourselves in the presence of luminaries such as the eminent lawyer, barrister and politician, William Garrow, recently the subject of a TV series, Garrow’s Law, and the gentleman responsible for that cornerstone of British law, ‘innocent until proven guilty’. In his will, I have since learned, he requested that he be buried in his birthplace, Hadley, alongside his uncle, a request which was for reasons unknown not granted. In a shady nook, overhung by arthritically-twisted branches, stands a cross marking the final resting place of John Collis Brown, the doctor who invented chlorodyne, originally a treatment for cholera. Although savvy in medical matters, he was no Sir Alan and failed to patent his prescription leaving him to miss out on the profits of what became a ‘miracle’ cure for everything, from colds and diarrhoea to whooping cough, neuralgia and rheumatism. Amongst its principal ingredients were laudanum, tincture of cannabis and chloroform, meaning, as Barbara wryly pointed out, that even if it didn’t cure you, at least you died happy! The jewel, or perhaps what ought to be the jewel in the crown of St Laurence were it not in so parlous a state with broken ducal coronets and smashed angel heads, is the D’Este mausoleum, in which lie the remains of two of the grandchildren of King George III. Lady Augusta Murray of Dunmore , their mother, who married Prince Augustus Frederick in 1793, shares the same resting place. Unfortunately, under the Royal Marriage Act of 1772, the marriage was ruled invalid and the couple parted in 1801. She was given (or perhaps paid off with) the title, D’Ameland in 1806, and given a Crown allowance to keep her and her children in a certain style. Leaving Lady Augusta and her offspring in the guardianship of the four-trees standing sentry, one at each corner of the once-grand mausoleum, we pressed onward to where John Woolward, an admiral who served under Nelson, came to anchor for the final time. In 1798 he fought in the Battle of the Nile at Aboukir Bay, helping Nelson to scatter the French fleet and put them to rout. John later became the harbourmaster at Ramsgate, a position he maintained for twenty-six years. But it wasn’t just the dignitaries I found interesting – I was particularly taken with the grave of a young lady who ‘as she was walking upon the cliff on October 1801, unfortunately she fell over and was killed upon the spot’. There is no name upon the gravestone, but she was later identified as Louisa Grevis. Who said exercise is good for you! Although many of the stones carry, in keeping with the Victorians, rather grim reminders of the fleetingness of life and a basic caution to refrain from smugness because we’re all on the same bus, just on different time tables, St Laurence churchyard really is something of a haven. One section of the grounds has been left to revert to nature and nature has not been backward at coming forward. Lothario Bees flirted shamelessly with the wild flowers, visiting first one, then another, while Ladybirds lolled about on long sunny stems and leaves, totally unconcerned that their house might be on fire and their children alone. The birds, as I mentioned earlier, were tuning up en mass for the feathered version of The Proms and, I understand, that burning bright in the churchyard of the night is, no, not a tiger, but a fox, waiting, perhaps, for an exhausted songster to fall off its perch. I could go on. I could tell you how privileged I felt following in the footsteps of William IV, Queen Victoria, even William Pitt, all who have trod the leafy pathways of St Laurence at one point or another, but I won’t. Instead, I suggest you come on one of the tours yourself, which are held regularly and which are free – though it goes without saying that a donation towards the upkeep is always acceptable. And, I could go on about the church itself, which dates from 1062 – yep, before the Norman conquest, but I also suggest you come along and see its many architectural and historic gems at first hand. On which note, I will leave the last word to one of our Victorian forebears, whose stone is inscribed with a verbal two fingers up! And now care not what thou sayest of me’. I am enjoying a break at the moment, hiding out in a lovely Grade 11 listed cottage in one of the many charming villages scattered round beautiful Somerset. The weather, if not brilliant, is at least pleasant, with only the odd scattering of rain chucked down by the powers that be as a sop to the farmers and gardeners who are revolting. (If childish humour is your thing, make your own joke here). In any case, here I am in the lovely rolling countryside of this cider-making county, loafing around and listening to the burr of the local birds, whilst dutifully mapping out the where-to-visit-today itinerary. On Sunday, it was off to Bristol to see Brunel’s HMS Great Britain and, let me tell you, judging by the size of the tiny bunks, anorexia is clearly not a modern-day phenomenon. In fact, so narrow were they, it would be difficult to lie two dry straws of spaghetti side by side. So much for the myth of the jolly fat sailor! For any naval history buffs, though, it’s worth the entrance fee. The following day saw us spending a pleasant few hours in Bradford on Avon, a pretty Saxon town in Wiltshire. In true tourist fashion we ambled beside the Kennet and Avon canal admiring the picture-perfect narrow boats moored on each side, then popped along to have a look at the enormous 14th century Tithe Barn at Barton Grange Farm. As tourism is the mainstay of the area, there were a number of craft and souvenir shops close by and, like Pavlov’s dogs, I was soon salivating and champing at the bit, (which was a bit scary for onlookers! ), desperate to go charging off into those Aladdin’s caves of . . .tat! 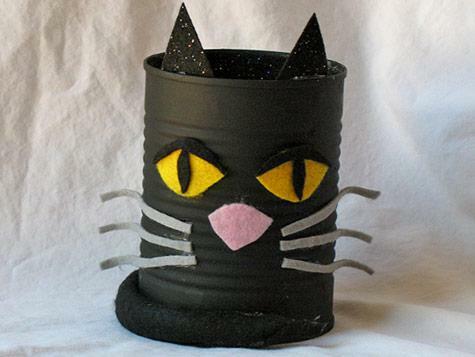 Well, what else would you call six tin cans (I swear one still had a baked bean at the bottom) fashioned into a clunk-ugly cat? In disbelief, I turned my attention to a small mirror, the frame of which had been ‘distressed’ so badly, the poor thing was clearly distraught. ‘Shabby chic,’ the shop assistant told me with a ‘what would you know, ignorant peasant’ glare, as I took it over to point out the damage. Okay, so I may not be a member of MENSA (I can’t even spell it), but I figure there is something wrong when something that has been wilfully trashed (sorry, distressed) costs three times the price of said object in its ‘un-distressed’ state. I can’t help but feel the same about clothes that are worn out before ever you’ve worn them, threadbare hemlines (organic apparently), frayed, ripped and faded jeans that look as though some builder has left not only his bum in them, but half the building site too. And, okay, so I may be a woman d’un age certain, but I’m no fuddy duddy and certainly not averse to being conned. I have, indeed, been royally conned on several occasions (er . . . a dancing Mickey Mouse with no visible means of support). Not on this occasion, though. Replacing both tin-can cat and grief-stricken mirror and carefully eschewing the stuffed, ripped, patched-with-old-socks gingham rabbit (with cross-stitched eyes, only thirty quid!) I backed out like a vegetarian at a cannibal convention. Today, we are off to Avebury to see the megalithic stones (more Hubby’s thing than mine – one megalithic stone is much the same as another). If there’s a souvenir shop lurking (with intent to con) in the vicinity, I promise I will just walk on by. Shabby chic? My foot! Shabby cheek! First, though, I need to pack away the pink raffia heart-shaped cushion with the cutesy sayings stamped all over it I bought the day before. It will look just stunning in the living room, next to the tartan coal scuttle and the bulrush poker.